Jagjeet Singh is no more! I and countless other fans all over the globe feel a sense of personal loss. It is like losing a very close relative or someone very near your heart. Jagjeet Singh was the voice of an entire generation. Many of us who did not have an Urdu background developed a taste for the language and its poetry solely because of the magical voice of Jagjeet Singh. Urdu ghazals came alive through his wonderful compositions. God had blessed him with a unique voice which was literally one in millions. His was the voice of poetry, the voice of romance, the voice of love, the voice of purity, the voice of devotion and much more to millions of us. The same destiny, which had endowed him with a bounty of talent which endeared him to people all over the world; had deemed it fit to give an unhappy personal life. But mysterious are the ways of the Almighty and we, mere humans, cannot even begin to comprehend the vagaries of fate. 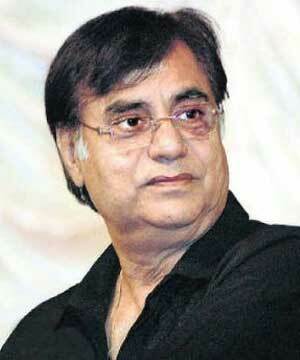 But whatever Jagjeet Singh lost in the way of personal happiness; he poured it all out in his ghazals. His ghazals are an endless source of myriad emotions and generate a kaleidoscope of feelings. Jagjeet Singh may have gone, but he will live in the hearts of his fans forever and his ghazals will continue to delight generations. I am sure that music lovers all over the world will join me in praying for his soul. Jagjeet Singh, may you find happiness, eternal peace and salvation at the feet of the Almighty. when mirza ghalib was launched by him with gulzar;Ghalib,sitting in heavens, would have felt that his poetry got the worth it deserved.perhaps these tributes to the "great"might do the same to his soul.